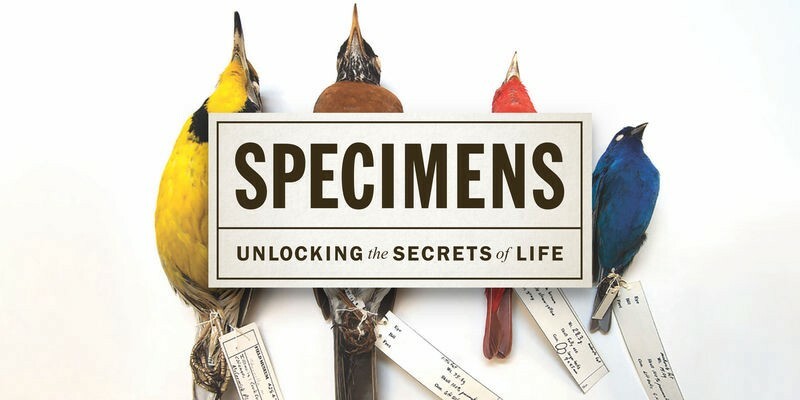 Less than .01% of the Field Museum’s inventory lives out on the museum floor and the “Specimens” exhibit highlighted the collections that typically go unseen. These first-person monologues were part of Leo Burnett Chicago’s 2017 campaign to raise awareness of the vast collection of specimens and drive patrons to the museum. A pop-up voiceover booth traveled around the city to record passerbys who brought pre-written monologues to life. The best reads later became a permanent part of Field Museum’s audio tour. Yeah, I lead at the back of the pack, so what? That doesn’t make me any less of an oryx! I let all the ladies go first because I am a gentleman. A TRUE GENTLEMAN. I respect my family and I expect the same in return. And I gotta make sure my crew is protected, you know? My family is everything to me! I didn’t grow dis big and eat seven steppes worth of grass and fruit for NUTTIN’. I tell ya, if anybody comes and challenges my pack, they’re gonna get a piece of my horn right in the kisser. Yous can stake my reputation on it! We been circling around this grassland for generations! I don’t take no guff from any yahoos like a lion or leopard. If they come through, I says, “Okay, Mr. Lion, I see you, now have a good day, tell your wife hello, and step to it.” Get it? Step and steppe; I made a joke. Ha! Don’t tell nobody dat. I can literally survive and thrive anywhere. The phrase “Survive and thrive” is trademarked by my very own Yemen digital marketing company, “Chameleon-A-Million,” bringing your ideas to life for 23 million years, located in the Arabian Peninsula in Yemen and Saudi Arabia, call 1–800-BIG-DREM. We had to leave the ‘A’ out of “dream” to get the right amount of digits for the phone numbers but I am very happy with the way it turned out. You know, there are a lot of us out there but I’m the real deal. The only one that matters. It’s all about selling yourself the right way, you got these hot shots on the higher branches thinking they know everything but they don’t. I know exactly what color everyone likes to see. You want white? I go white. You want blue? I go blue. You want a mosaic of wildflowers? You got a mosaic of wildflowers. Heck, I’ll go Picasso if you want! I adapt to my surroundings. That’s what you gotta do as a salesman; adapt. Adapt and react. “Adapt and react” is another trademark of “Chameleon-A-Million,” so if you’re gonna use it, you gotta let me know first. I’ll have Sylvia drum up the right paperwork and all that and get you going. Well ya know, me and Artie, we got our homey little abode on the ice shelf and we just love it up here. The neighborhood is kinda changin’, sure, but, ya know, we keep goin’. Well just a couple weeks ago we were watchin’ HITV, Home and Ice Television, and we decided to give redecorating a go. I mean, for arctic’s sake! We’re retired from fishing, the kids moved out a long time ago, just down the pack ice of course, and we wanted to jazz up the place and treat ourselves. So we bought all new ice cabinets for the kitchen, a brand spankin’ new ice mattress, and a brand new ice patio set for the backyard! Before we have all our friends over, Artie and I will take turns goin’ out and gettin’ little crustaceans or tiny rodent guys so we can have a nice little dinner, ya know? Gosh, we just love to entertain!